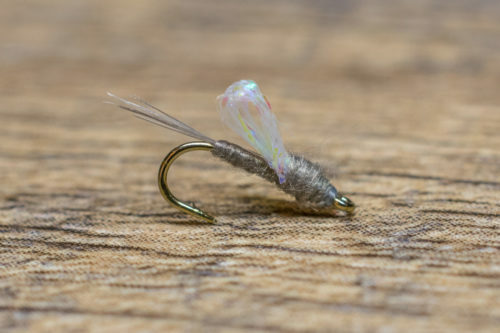 Tracy Peterson developed the Skinny Nelson as a Baetis nymph/Midge larva hybrid for the Bighorn River in Montana. It is highly effective effective tailwater pattern. The simplicity of this pattern is what makes it irresistible, with a thin and sparse body, a ribbed abdomen, peacock herl and flash. It can be tied with and without a tungsten bead. 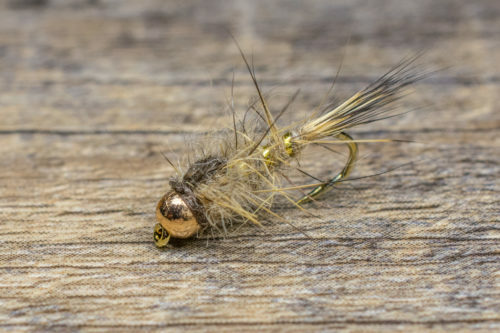 Tracy Peterson developed the Skinny Nelson as a Baetis nymph/Midge larva hybrid for the Bighorn River in Montana. It is highly effective tailwater pattern. The simplicity of this pattern is what makes it irresistible, with a thin and sparse body, a ribbed abdomen, peacock herl, and flash. It can be tied with and without a tungsten bead. The Skinny Nelson excels in all fishing conditions due to its slender profile. It is a must-have for any Tailwater Junkie! Dusk and dawn are typically you will find most of the Beatis nymphs moving around the bottom to feed or relocate. These are our favorite times to fish a Baetis nymphs. 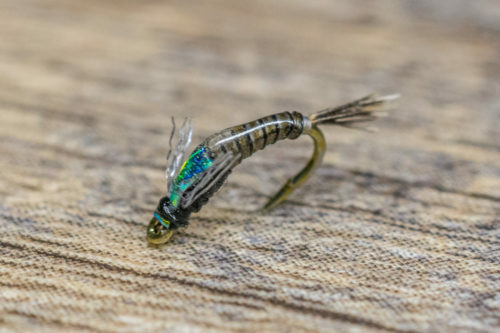 If the trout are fully engaged on Baetis nymphs you can switch to two Baetis nymphs to increase your odds, other effective patterns are Mercury Flashback Pheasant Tails, Smith’s Baetis and Chocolate Foam Wing Emergers. 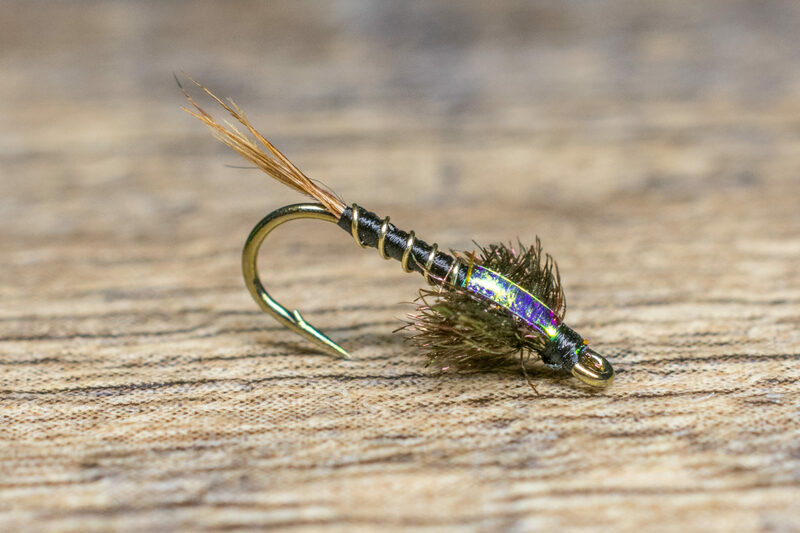 This pattern excels in a dry-dropper application we suggest getting the Tungsten bead variation of the fly. Typically, we fish the Skinny Nelson in sizes 18-20 as a dropper.